Have an idea for a unique graphic illustration that you would like to incorporate into the design of your marketing materials? Take your illustrations to the next level with Dynamic Digital Advertising (DDA), Philadelphia's prime custom website company and graphic design firm. Our digital illustration artists conceptualize and create illustrations that represent an idea, product, or service through two- or three- dimensional images. Not only can we produce custom illustrations for sell sheets, brochures, and other print media, we can storyboard sketches and animate images for website designs, CD-ROM presentations, or DVD presentations. Consult with the professionals at DDA to ascertain what designs and illustrations best represent your company and the message you want to communicate. More than sketching a drawing in a notebook, digital graphic illustration involves advanced software and techniques to give illustrations the ability to command attention and engage an audience. Digital illustrations, also known as computer illustrations, require digital tools under the direct manipulation of the artist to create unique images for print- and web-based media. Through a pointing device such as a tablet or a mouse, concepts turn into works of art. 2D Digital Illustration Designs reflect how you might draw using a pencil and a piece of paper. However, in this case, the image appears on the computer screen and the instrument you draw with may be a tablet stylus or a mouse. Raster graphics or bitmapped tools are used to create 2D illustrations, which store content digitally in fixed rows, columns, and layers. DDA’s illustration artists are experienced in using the latest bitmapped tools from Photoshop, Paintshop Pro, GIMP, and Corel Painter. 3D Digital Illustration Designs serve as a gateway to a virtual environment where you can arrange objects on the computer in such a way that they appear real. Generally, the art of 3D illustration is akin to sculpting or model making, while the art of 2D illustration is analogous to painting. Vector tools are used to create 3D illustrations, which store content digitally as resolution-independent mathematical formulae. DDA’s illustration artists are skilled in sophisticated vector tools from Freehand, CorelDRAW, Illustrator, and Inkscape. Whether you prefer simplistic 2D digital illustrations or sophisticated 3D digital illustrations, Dynamic Digital Advertising is able to create images that effectively sell your products or services. Use these images to show the interior workings of a product, depict a service in action, or convey an innovative idea. The possibilities are virtually endless. Call DDA, a professional custom website deign company and graphic design firm, for digital illustrations that are as attractive as they are functional. Put your digital illustration to good use. Not only can DDA create high quality digital illustrations, we can produce a custom web design tailored to your requirements and integrate your digital illustrations to effectively market your product or service to a broad audience base. As a professional custom web site design and development company, we know how to equip your website with the tools it needs to generate traffic and, more importantly, generate sales growth. Since 1994 we have been developing successful sites for companies regardless of size and industry segment. 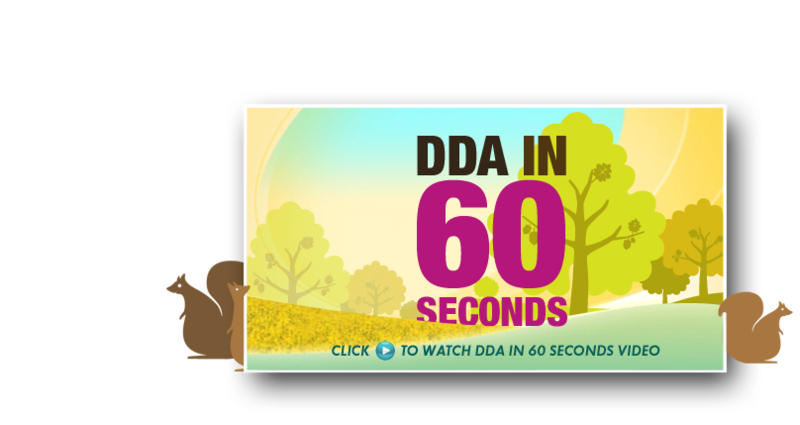 Get noticed and get results with large format graphic designs from DDA. As part of our extensive graphic design service offerings, we provide clients with exceptional large format graphics including truck and bus signs, outdoor transit and billboard advertising, and trade show banners. We combine proper layout, images, taglines or messages, and contact information so your large graphic attracts the attention of commuters and passersby at first glance. 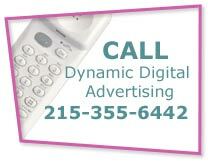 Choose Philadelphias preferred graphic design firm for all of your graphic design needs.